Are you ready to discover the ways the Holy Spirit is moving in your life? 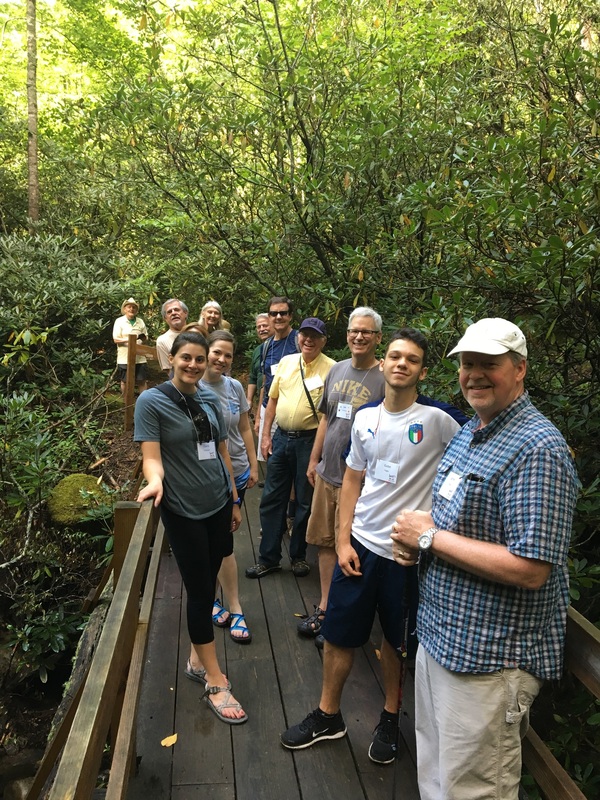 Join your church family in beautiful Montreat as we experience scripture, keynotes, workshops, pottery, hiking, and much more! Don’t miss this opportunity to live in community with your church family as we explore the theme Through the Waters! Scholarships are available. Click here to apply. Centering Prayer God, we are grateful to be gathered together with our church family in this thin place. God, we are amazed and astonished by how you continue to work in our midst. God, send us into the world, led by your Spirit, to welcome, encourage, and spread your good news. We’ll register at Assembly Inn in Montreat and spend time enjoying all that Montreat has to offer through scavenger hunts, games, and recreation. Later in the evening, we’ll introduce leadership and spend time learning to call one another by name. Then, our night owls will enjoy “Late Night in the Lobby” for games, guitars, and good times. After breakfast, we’ll gather in Convocation Hall for our first keynote. We will then have extended time with our chatter groups to get to know one another better and talk about what we heard in Keynote. We’ll move into our workshop session where folks will have the chance to experience the theme in a variety of ways: pottery, bible study, crafts, and more! After lunch, we will experience Keynote in a more active way, followed by time with our chatter groups to talk about what we heard. All will enjoy free time in the afternoon. Participants will have the chance to hike, rock hop, go into Black Mountain for shopping, take a swing at the Black Mountain Golf course or enjoy an afternoon of rest. 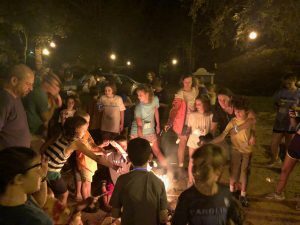 Saturday evening, we’ll gather around the pig cooker for a UPC BBQ and move into an evening of recreation with a staple of good times at Montreat: a barn dance followed by a campfire and smore’s. 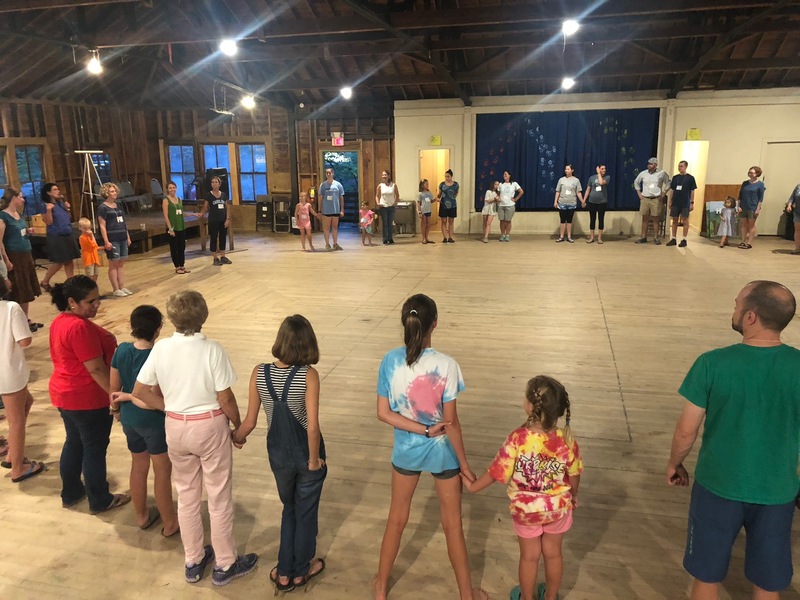 As we prepare to head down the mountain and back into the real world, we’ll prepare our hearts and minds for service to others through a hymn sing and worship. Hello UPC and greetings from the McKinnons. We are so excited to be Keynote speakers for your congregational retreat! In a lot of ways, it feels like a homecoming for us. Montreat is a home away from home for our family and UPC was John’s literal home when he was your church mouse. He has many fond memories of campers and parents from the church. John and Darci met while directing Presbyterian camp and retreat centers in North Carolina and Ohio. They were married less than a year later and are closing in on their 20thanniversary in October. John is a graduate of Union Presbyterian Seminary in Richmond, VA. He is currently serving as the Pastor of First Presbyterian Church in Oklahoma City. Prior to moving to Oklahoma, John served as Associate Pastor of First Presbyterian, New Bern and Pastor of Beckley Presbyterian, Beckley WV. Prior to seminary, he directed Camp Albemarle for five years. John was also a Probation and Parole Officer in Chapel Hill and was the Church Mouse at UPC temporarily renamed Church Bear during his tenure. Darci loves working with all ages and has worn many different hats in service to the church. 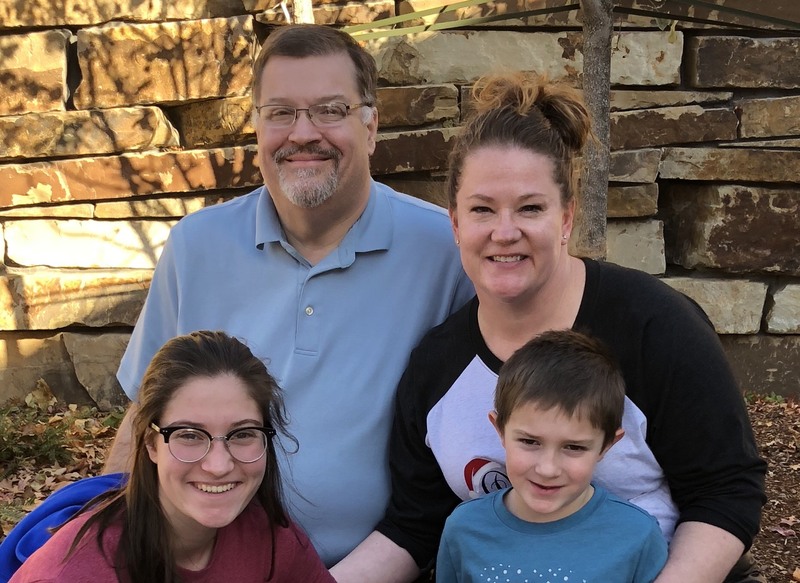 She was the Director of Wildwood Camp and Conference Center for the Presbytery of Cincinnati, has worked in children’s and youth ministry for First Presbyterian in Morehead City, the Presbytery of the James, First Presbyterian in New Bern, and Westminster Presbyterian in Oklahoma City. She has enjoyed serving on planning teams and leadership for National PW Gatherings, Montreat Middle School and Youth Conferences and the Arts, Recreation, and Worship Conference. We look forward to exploring Isaiah’s word for us today as we travel Through the Waters together. Darci also looks forward to rocking chairs and knitting needles. Aidan (16-year-old daughter) and Ian (6-year-old son) look forward to rock hopping and hikes up Lookout. John can’t wait to just being back in one of his top three thin places on earth where God is so very present. Thank you for the opportunity to retreat with you! It is going to be an amazing weekend. To paraphrase the good prophet, Do not fear, for God has redeemed you; God has called you by name, you are God’s. YOU ARE GOD’S. What amazing love is this? What a joy it will be to explore that love together. Thanks be to God! See you in September! We will stay in hotel rooms in Assembly Inn, where we’ll also have meals and group meeting space. You have a choice of private or adjoining baths. Space is limited so register early! Conference fees include meals – Saturday breakfast through Sunday breakfast. A group of UPC folks will gather to enjoy a few hours of tubing/floating down the French Broad River after lunch on Sunday. We will need a headcount closer to the retreat weekend so we can secure the group discount of $15 per person with Zen Tubing. A boxed lunch ($10/person) from Montreat will be an additional cost. Please check “yes” on your retreat registration if you are interested in this opportunity and we will add your name to the list and be in touch in August. We will have one workshop on Saturday morning. Many activities will be available for Saturday afternoon free time as well. Gather at the River (or at least the creek!) – Open to all ages. 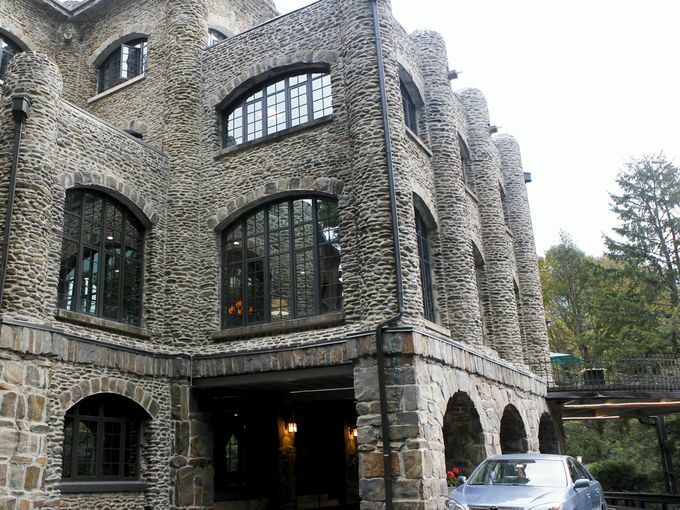 Want to get out and stretch your legs, taking in the natural beauty Montreat has to offer? Join in for a 1 hour easy-moderate hike around favorite Montreat spots. You will get to know other UPC retreaters while enjoying the fresh mountain air. (There is also time for a more strenuous hike with UPC friends during your afternoon free time.) Meet at the Assembly Inn lower lobby by the front desk. Led by UPC members. My Cup Overfloweth – Open to all ages. Sometimes all it takes is an unexpected act of kindness to make someone’s day! Help us create random acts of kindness and pay it forward in our retreat community. Help others know that God is with them through the waters. 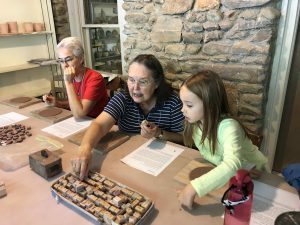 True (Water) Colors – Open to 3rd grade and older. Let your creativity flow as you use paint to make beautiful water themed art. Artist Lisle Gwynn Garrity will be our guide as the group creates art with this simple medium. Location: Currie Craft Center, Lower Level. Facilitated by Lisle Gwynn Garrity. Water You Waiting For? Come Play Some Games! – Open to Kindergarten and older. 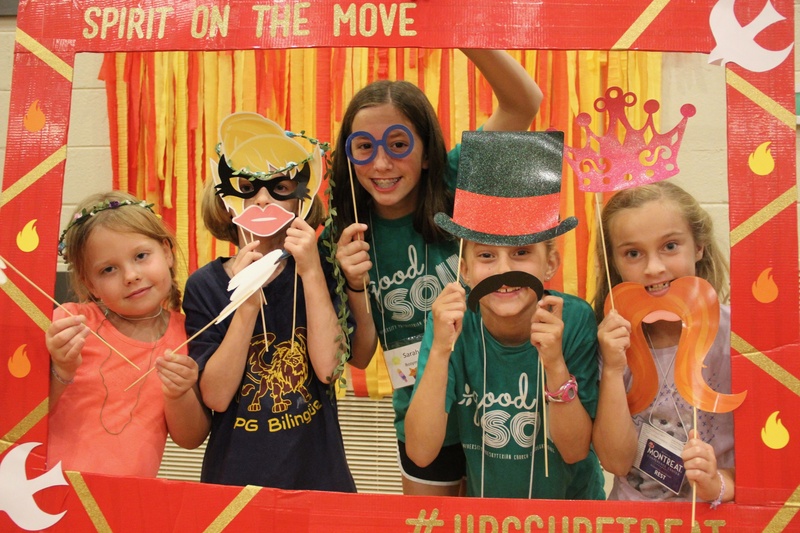 Do you wish you could be at summer camp again? If so, look no further than this workshop! Make summer last a little bit longer by playing some classic camp games with your fellow retreaters! We’ll have group games that are fun for all ages. Location: Meet in the Upper Lobby of Assembly Inn. Facilitated by seasoned camp counselors Mac and Claire Gilliland. Went Down to the River to Pray, My Soul Got Happy and I Stayed All Day – Open to all ages. Do you love the sound of the rain falling? Come make and decorate your very own rain stick! Would you like a fun way to relax and practice mindfulness? A “zen” board, paintbrush and a little water may be just what you need! Go with the Flow – Open to 3rd grade and older. Take time to bend, stretch, and breathe. This session will invite you to move your body in ways that help you de-stress and relax. No experience necessary. Bring a yoga mat or towel. Participants can stretch from the floor or from a seated position in a chair. Peace Like a River – Open to 6th Grade and older. Our God of calm, beauty, and peace is ever-present to us, giving us undivided attention. Come and give your undivided attention to God and practice experiencing “Peace Like a River”. Together, we will explore 2-3 different meditation practices. The aim of this session is to slow down, be present, and seek blessing in your spirit. Hiking Lookout– Hike up Montreat’s famous Lookout Mountain. It’s a moderate hike, about 45 minutes up and 30 minutes down with great views of the valley. The first part of the trail is a gentle uphill slope through an area rich with wildflowers. We will stop frequently to examine the flowers, ferns, shrubs and trees which cover the slopes of Lookout Mountain. For those who wish to continue to the top, be prepared for challenging steep slopes and some scrambling up boulders for the 700 ft. elevation gain. You’ll be rewarded with a stunning view. Bring water and be prepared for the weather. We will carpool from the entrance of Assembly Inn to the trailhead on Lookout Road. Meet in Assembly Inn Lower Lobby, near the front desk. Football Game – Cheer on the Tar Heels in the Lobby area. Black Mountain Trip – Would you like to go with a group to explore Black Mountain? Sign up at the Registration Desk. Sabbath – Take a holy nap in your room or have some good conversation with friends on a Montreat porch. Take extra time to recharge your batteries.